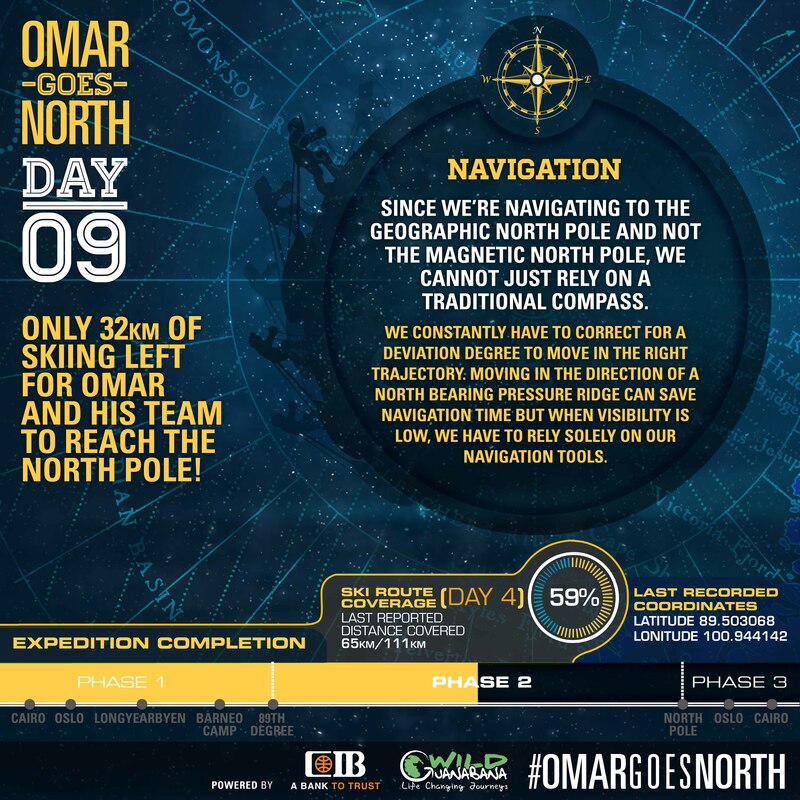 Over night Omar and the team had drifted 7km closer to the North Pole. The weather today was the worst so far on the trip, extremely cold with strong winds. As a result of a storm there was no visibility at all for the first four to five hours. Luckily the guide had an extra pair of heavy gloves, as without the team today, Omar surely would have got frostbite. The team covered around 18km today over 8 hours. The first four hours were so cold they could barely take a break or a snack. After the five hours though the winds subsided and as a result the weather felt slightly warmer. Two hours in the day they met another team on the way, who had decided to camp due to the bad weather. 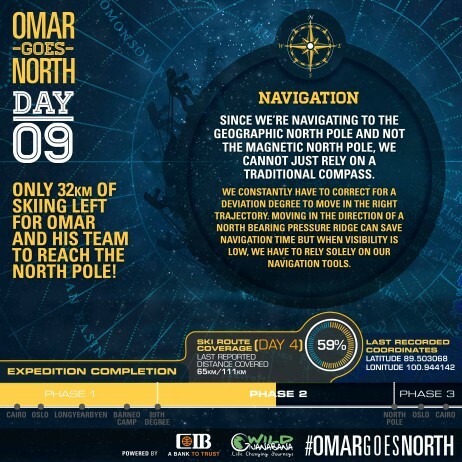 Omar is now N89.24, E.101.29 around 32 kilometres away from the pole. Hopefully, if the team has a good day tomorrow they could finish in the next two days. If the team reaches close enough to the pole tomorrow they could move tomorrow night towards the pole. They would move directly rather than wait for the drift. It is worse to wake up the next morning to find you have drifted further behind.